It truly is amazing how far along we have come in the ability to render life-like scenes on a computer. I’m not just talking about gaming, but CGI in general. From the first Toy Story to Interstellar, rendering has reached a level that can fool the human eye into thinking we are actually watching actors. Companies like nVidia are always pushing the envelope. They develop new tools and concepts that help render artists achieve an ever-increasing level of realism from their artform. 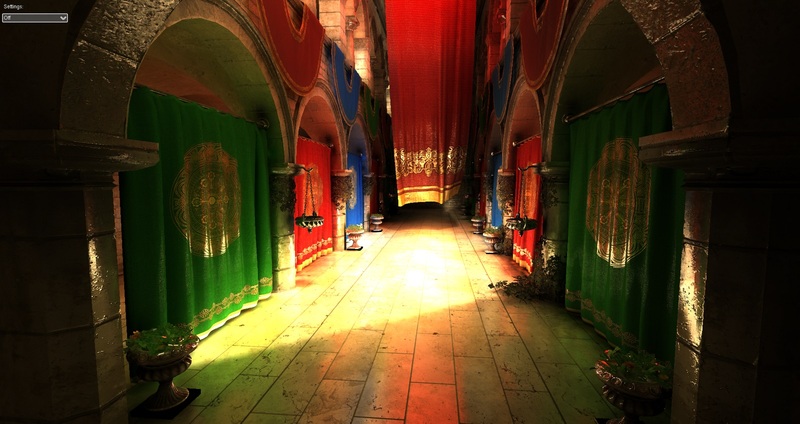 Last year, nVidia pushed out some great tools in the area of lighting effects. One of them was Voxel-Based Global Illumination, or VXGI that shipped with Maxwell, their new GPU architecture. Voxel-Based Global Illumination is a technique that a allows a render engine to analyze a scene and see how light might bounce off of one object to another. This can be thought of as the effect of a single window in a room allowing sunlight through and yet the entire room is brightened instead of just the area on the floor that is receiving the light. A voxel is a 3-dimensional pixel, in case you were wondering. 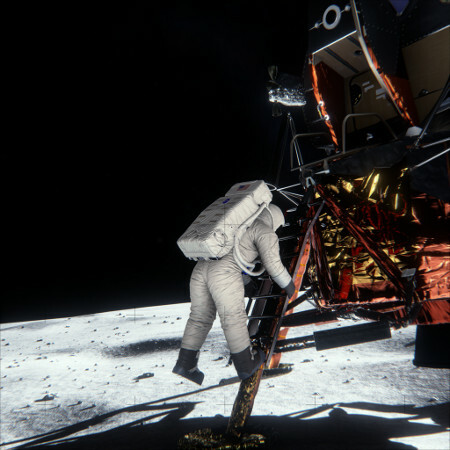 Mark Daly, head of nVidia’s Game Demo Team lead the project to use Maxwell’s new GPU infrastructure to debunk the famous Moon landing hoax. 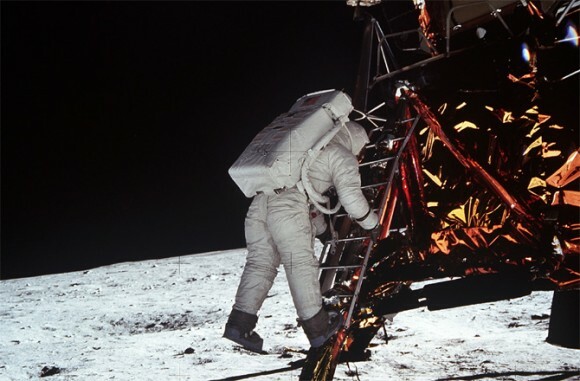 They first began by rebuilding the scene in the famous shot taken by Neil Armstrong as Buzz Aldrin descended the Lunar Excursion Module’s exterior ladder. The scene was recreated down to simple things like nuts and bolts and even wrinkles in the Mylar on the exterior of the lunar lander. Once the 3-dimensional modeling was completed, they applied reflective and refractive properties using the new Voxel-based Global Illumination technology. 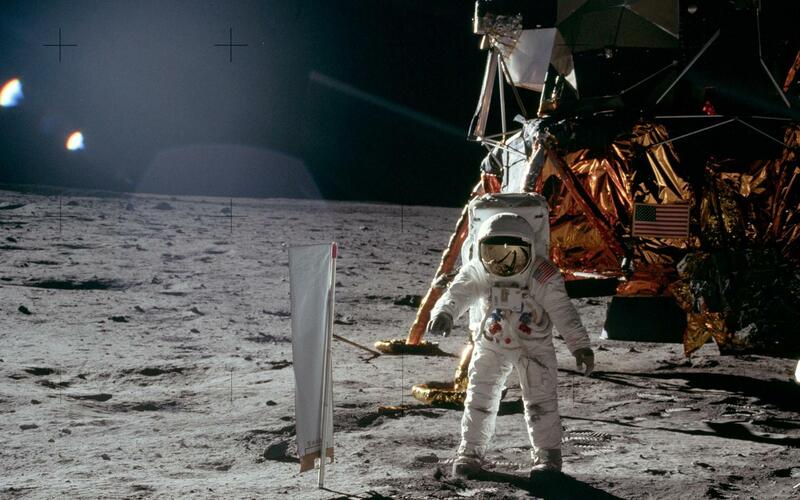 This required the team to perform a lot of research into what every part of the space craft was made out of and about the lunar surface itself as the VXGI requires that data in order to make an accurate simulation. What resulted was a shot that looked exactly like the original shot, seen above. Could have fooled anyone. This is the shot rendered using Voxel-based Global Illumination. Arguably, the amount of calculations required to be able to make the lighting in a studio match that of the Moon for 1969 would have been insurmountable. Consider that the first Nintendo Gameboy had more processing power than the spacecrafts sent to the Moon and the early shuttles. While Voxel-Based Global Illumination has been a thing for about 10 years, it wasn’t made simple or easy until about 2012 when the first production tools made specifically to implement it began to be released. Without that technology or tools for it, recreating the lighting of the moon would have been impossible in 1969. Copyright © 2019 The Lone Gamers. All Rights Reserved.